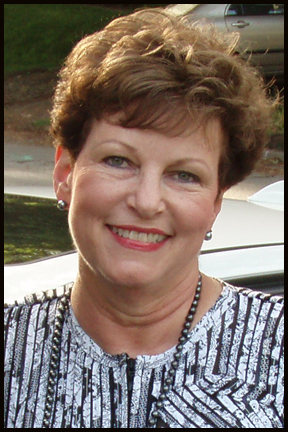 Piedmont Craftsmen's Board and Staff are sadden with the sudden death of board member, Julia Hightower on October 14, 2008. Julia was a dedicated board member and volunteer. She volunteered for many of our special events and worked at the Craftsmen's Party at the Fair. She will be missed. 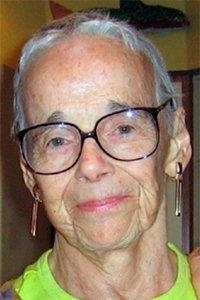 Judith Barrow Brinkman, died quietly at home on October 3rd. She was 69 years old. Judith was an exhibiting member in Fiber from 1968 till 2001. She was the wife of Ed Brinkman, an exhibiting member in clay. Memorials may be made to Piedmont Craftsmen. The Arts Council Galleries in Concord, NC announces the opening of this new show. Piedmont Craftsmen artists that are participating in the exhibition include: Joseph Anderson, Cindy Billingsley, Amy Goldstein-Rice, Chuck & Sue Heath, Whitney Peckman, John Ransmeier, Ken Sedberry, and Ali Wieboldt. Also featured are photographs by Gene Furr, and bronze sculptures by Roger Martin. The show runs through October 23, and may be viewed weekdays, 10 am - 4 pm, or by appointment. Sitting on a dusty seat from an old dentist's chair, Lexington master potter Clyde Gobble turns his pots. He's surrounded by his tools - cockle shells, a handy dandy wooden mallet, cheese cutter, a variety of paring tools, fish scaler and a dead blow hammer. A bucket of water, complete with a tadpole from nearby Abbott's Creek, sits adjacent to the wheel. Jokes, political posters, cartoons and names with phone numbers are taped on the walls and hang from the ceiling. Raves for Margaret Agner of Bogart, GA who will exhibit at Lamar Arts Center and Gallery in Barnesville, GA, September 5 through October. Margaret, a very busy fiber artist, will also be featured at Fulton County Library System, Sandy Springs Library (Atlanta, GA) during the month of September with her hand-painted silk wall hangings: Gardens. Dempsy Calhoun and Susie Christiansen invite you to Metalmorph 2008. Friday - Sunday, September 26 - 28th, 11:00 am - 7:00pm. Dempsy will be showing sculptures, garden objects, drawings and architectural details. Susie will present her Cat Crack Studio artworks. Location: 163 Jamestowne Dr., Mocksville, NC. For more information call 336-998-4355 or dempsy@ dempsycalhoun.com. Piedmont Craftsmen is pleased to introduce our new online sales gallery. The online sales gallery will feature artwork currently in stock at our Trade Street Gallery. Membership renewals, Crafts Fair Sponsorships, tickets and member services can also be purchased through our site. Click on the "Shop" button located in the banner near the top of our website to begin your buying experience. Now is the time to make nominations for the 2009 - 2011 Board of Trustees. The 2008 Board Development Committee is chaired by the immediate past president, William M. (Marty) Marion. Piedmont Craftsmen's exhibiting members are invited/challenged to push the concept of what a box is. A box is defined a s a container typically constructed with four sides perpendicular to base and often having a lid or cover. However, Piedmont Craftsmen are anything but typical. As craftsmen you are rooted in tradition but not limited by any traditional constraints. The show is open to all media, however the piece must have been made within the last 2 years. American Style's Top 10 Fairs and Festivals is a highly competitive contest. Please vote for Piedmont Craftsmen’s Fair at www.AmericanStyle.com. This would make a excellent anniversary gift for the organization. Piedmont Craftsmen was the winner of the best Art Gallery/Shop/Boutique in the First Annual Smitty's Notes Best of Winston-Salem Awards. The Downtown Arts District received honorable mention for the best shopping center. This is very much a people's choice award, so thanks to everyone who voted for us! To view the complete list of categories and winners, click on this link: http://www.smittysnotes.com/best-of-winston-salem.html. 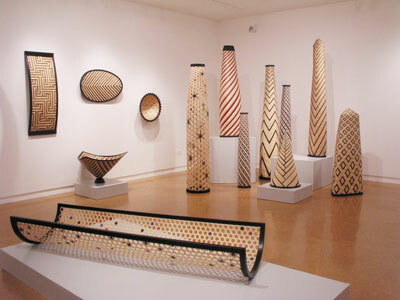 A solo exhibition and sale celebrating 25 years of basket making by Billie Ruth Sudduth will be held at the Toe River Arts Council Gallery in Spruce Pine, NC from August 23 through September 27, 2008. Titled 25 Years and 10,000 (almost) Baskets Later, works have been recreated from each of the 25 years of basket making to showcase how Billie Ruth's work has evolved from holding your objects to holding your interest. The life of John Lawrence Skau will be celebrated on July 26th from 5 to 7 pm. The event will be at the Green Hill Center for North Carolina Art, 200 N. Davie Street, Greensboro, NC. To attend, RSVP to westjl@gmail.com or call 336.431.9322. Congratulations to Lambeth Marshall, who's "The Artful Teapot" was selected for the Red Sky's Teapots Across America exhibit. 38 teapots from the United States and Canada were chosen for the exhibit. The show runs through August 13th at Red Sky in Charlotte, NC. Dottie Moore has released Lives in Process, Creativity in the Second Fifty Years. A book of stories, images, and quotes of creative processes in life and in art by the fabric artist. The CD multimedia book and audio CD can be ordered online at dottie@dottiemoore.com or at amazon.com. Congratulations to Billie Ruth Suddith whose "Fibonacci in Reverse" basket is featured in the June 2008 issue of House Beautiful. The article Everybody's Favorite Accessory...Baskets presents 28 baskets of various styles and price points. Billie Ruth lives in Bakersville, NC and has been an exhibiting member of Piedmont Craftsmen since 1991. Piedmont Craftsmen wishes to welcome Robin Searight to the Board of Trustees. Robin was recently appointed to fill a vacancy through December. Robin is Senior Vice President, Client Advisor with Deutsche Bank Alex Brown in Winston-Salem. Wake Forest University presented a glass art piece to Claes Hamman, Minister for Trade Economic Affairs with the Swedish Embassy as a recognition gift in May. The art glass vessel was created by Thor and Jennifer Bueno of Penland, NC. The gift will be housed at the Embassy in Washington, DC. Piedmont Craftsmen is please to announce new collaborations with two non-profit organizations in Winston-Salem. In March, an exhibit was installed at the Winston-Salem Symphony's new offices. The exhibit is located in the reception, board room and office areas. This is an on-going workplace exhibit that will be rotated quarterly. The twenty-seven pieces of artwork in the show represents all the medias, many have a musically theme. event; James Edward Barnes, Thor & Jennifer Bueno, Akira Satake, and Jennifer Heller Zurick. It is with sadness that we say good-bye to George SerVance, a member of Piedmont Craftsmen since 1966. Mr. SerVance died Tuesday, March 25, 2008. Funeral services were held Saturday at First Missionary Baptist Church in Thomasville, NC. We will sorely miss George and his wonderful dancing dolls. The North Carolina Arts Council, Piedmont Craftsmen and Penland School of Crafts worked together in January to showcase North Carolina crafts at a media event in New York City. The event was held at the Musuem of Art & Design. Piedmont Craftsmen loan artwork created by North Carolina exhibiting members including Kathy Cooper, Jane Doub, Diane Fields, Mary Filapek & Lou Ann Townsend, John Geci, Carolyn Glazener, Clyde Gobble, Rob Levin, Jen Swearington and Janet Taylor. Clyde Gobble was featured in a January 31 article in the Lexington Dispatch. Clyde, along with 17 other NC potters, posed for the "Dirty Ol' Men" calendar, created to raise money for the Ashley Albright Memorial Pottery Scholarship Foundation. To read the full article please go to http://www.the-dispatch.com/. For more information on the Ashley Albright Memorial Pottery Scholarship Foundation visit http://www.ashleyalbright.com/. Piedmont Craftsmen potter David Fernandez is also featured in the calendar. Billy Ruth Sudduth is among the North Carolina Living Treasures being celebrated at an exhibition at the University of NC at Wilmington now through March 15. Piedmont Craftsmen's Annual Meeting was held on Sunday, November 18th. Board Members elected to a two year term are Steven W. Dunn, Kate Groff and Carloyn Peddycord. Phil Chapman, 55, of Fredericksburg, and formerly of Winston-Salem, N.C., died at his home on Friday, Jan. 25, 2008, after a 2 1/2-year battle with Amyotrophic Lateral Sclerosis or Lou Gehrig' s disease. A native of Winston Salem, Chapman was a graduate of Virginia Commonwealth University and Fredericksburg' s first full-time potter. Chapman is survived by his wife, Trista; his mother, Margaret Chapman of Winston-Salem; his brother and sister-in-law, Hunt and Betsy Chapman of Arlington, Va., and their sons, Jonathan and Brian Chapman; and numerous cousins, aunts, uncles, nieces, nephews and friends in the arts community. He was preceded in death by his father, Phillip Chapman. Arrangements are incomplete at Covenant Funeral Services, Fredericksburg. A celebration of Chapman' s life will be held at Sophia Street Studios in Fredericksburg at a later date. In lieu of flowers, contributions may be made to the ALS Association, Development Department, 27001 Agoura Road, Suite 150, Calabasas Hills, CA 91301, or to the Craft Emergency Relief Fund (CERF), P.O. Box 838, Montpelier, VT 05601-0838. If you live in Kannapolis or Concord, you must visit the Arts Council Galleries at the Historic Cabarrus Courthouse in Concord this month. Phil Moody's "Textile Towns," along with exhibitions by the Piedmont Craftsmen and Kannapolis photographer Chad Mitchell, is a required event for all of us. When you go, remember you can also buy! I forgot my checkbook, but that only means I get the privilege of returning. Lin Barnhardt, visual arts director for the sponsoring Cabarrus Arts Council, is an artist in his own right; his work is even included in the White House collection. But he has created another work of art on Union Street: "Textile Towns" is a fascinating, thematic show about our region's relationship with textiles. Congratulations to Roxane Lessa who has been awarded a United Arts Wake County Regional Artist Project Grant. She will be attending a week of classes at the Quilt Surface Design Symposium in Columbus, Ohio this summer. Roxane will get to meet like-minded teachers and students from around the world. Artwork of Janet Harriman has been accepted for inclusion in the PMC Guilds first annual book. She will be demonstrating at the national PMC conference at Purdue University in July 2008. Her demo will include a college process with enamel on PMC. Janet's artwork will be show in the national exhibition at Purdue University in conjunction with the conference. Jen Swearington had a great write up in the Raleigh News and Observer titled "Fiber Designer Stretches Beyond Fine Art." The article describes Jen's earlier work painting and drawing, and her frustration at having to waitress in order to support herself. Luckily she was drawn to fiber work - and the rest is history. PCI artist Susan Webb Lee is included in the Winter Issue of Carolina Homes + Gardens magazine. The article highlights Susan's career in quilt making, and shows several examples of her new work. Lin Barnhardt's "Gas" is featured in American Style magazine in the December issue. "Gas" is from Lin's Homage to Hopper series. Eleven pieces from this body of work were displayed at the Edward Hopper House in Nyack, NY during August. To view other works by Lin visit his website at http://www.linbarnhardt.com/. The Piedmont Craftsmen's Fair will be featured on North Carolina Weekends, Thursday, November 8th at 9:00 on PBS. Highlights and demonstrations from last year's fair will be shown. William Rogers, our November Artist of the Month, was part of the exhibition Blacksmithing with a Southern Accent at the Madison-Morgan Cultural Center in Georgia. This show has since traveled to the National Ornamental Metal Museum in Memphis. The Kentucky Museum of Art and Craft will feature the work of Amy Goldstein-Rice, along with 100 other artists, in their Holidazzle exhibition. This year's show will fill two galleries of the Louisville, KY museum. Pat Pilchard has two prints in the Shape, Form, Texture show at Associated Artists Gallery, 301 W. 4th St. Winston-Salem, NC. The show runs from October 25 - November 30. This national competition show was juried by Kathryn Markel from NYC. ARCHDALE: John Lawrence Skau, 53, of Archdale died Wednesday, October 10, 2007. A celebration of his life and work will occur at a later date. The Spruce Pine Potter Market is October 13 - 14 at the Cross Street Building in Spruce Pine, NC. The following Piedmont Craftsmen Artists will be exhibiting: Stan Andersen, Melisa Cadell, Rebecca Plummer & Jon Ellenbogen, Terry Gess, Becky Gray, Matt Kelleher, Jane Peiser, Norman Schulman, Ken Sedberry and Gay Smith. Featuring sculpture, drawings, garden objects, architectural details by Dempsy R. Chalhoun. October 19 - 21, 11am - 7pm. 163 Jamestown Drive, Mocksville, NC 27028. For more information or directions contact dempsy@dempsycalhoun.com. Amy Sanders, clay artist, will demonstrate at the Mint Museum of Craft + Design, Charlotte, NC on September 7 as part of their Taste of Art Fridays. Bring your lunch to the roof at 11:30 and watch Amy create her amazing work in clay. Fiber artists Dottie Moore and Nava Lubelski will discuss their work as well as current trends in their artistic field on Friday, October 2 at 7PM at the Mint Museum of Craft + Design, Charlotte, NC. Cat Jarosz has been selected to exhibit in the ACCSE "Spotlight 2007" exhibit August 17 thru September 22, at Arrowmont School of Crafts, Gatlinburg, TN. Cat will also be featured in "That's Clever" in October and May on HGTV. And, she is in the jury process for membership in CDC, too. What a busy craftsperson! Sheryl Baker has ceramic work showing at the current American Crafts Council Southeast exhibit, Spotlight 2007, at Arrowmont through September 22. The show features mugs, teapots, goblets, pitchers and other beverage containers by: Ron Propst, Clyde Gobble, Ken Sedberry, Luba Warrack, William Bernstein, Rob Levin, Georgina Holt, Brad Tucker, Jane Peiser, Mia Tyson, Stanley Mace Anderson, Silvie Granatelli, Alan Hollar, Lambeth Marshall, Warren Moyer, Rachel Smith, Elizabeth Kendall, Nancy Herman, Bill Stewart, Chris Simoncelli and others. There is something for everyone's drinking passion in this exhibit. A community educational component to the Beverage Rituals Exhibit. 4:30pm till 6:30pm. Krankies Coffee House, 211 East Third Street. Sponsored by Piedmont Craftsmen. The art of roasting will be demonstrated as well as a taste-testing of several distinct coffees and a presentation on the history of the vessel. Today, people meet for coffee or a drink after work and focus on the beverage, rather than the vessel that contains it. This event will present an opportunity to enhance a common occurrence and raise it to an uncommon level of sensory experience. $5 for Piedmont Craftsmen Members, $7 non-members. RSVP to 725.1516 or education@piedmontcraftsmen.org. Space is limited. AUGUST 11, 1927 - AUGUST 7, 2007 Sally Prange Wainwright died peacefully in her home in Durham on August 7, surrounded by loving family. Sarah Elizabeth Bowen was born in Valparaiso, IN to Milton and Louise Bowen. This auction will feature both new work donated by the fine craft guild's exhibiting members and pieces donated by Piedmont Craftsmen members from their personal collections. Collectors will have the opportunity to bid on a wide spectrum of work in all price ranges in live and silent auctions, including pieces by artists who are no longer producing art. The evening will also include live music by Matt Kendrick Trio, a cocktail buffet by Joe Curran of A Curran Affair, and an open bar. Admission is $50, all auction proceeds will benefit Piedmont Craftsmen's Capital Campaign. Call 336.725.1516 for ticket information. The Voorhees Family show opened Friday July 20 and will run through August 26 at the Hand in Hand Gallery in Flat Rock, NC. This gifted family, whose patriarch was painter Edwin Voorhees, creates paintings, pottery, photography, furniture and jewelry. 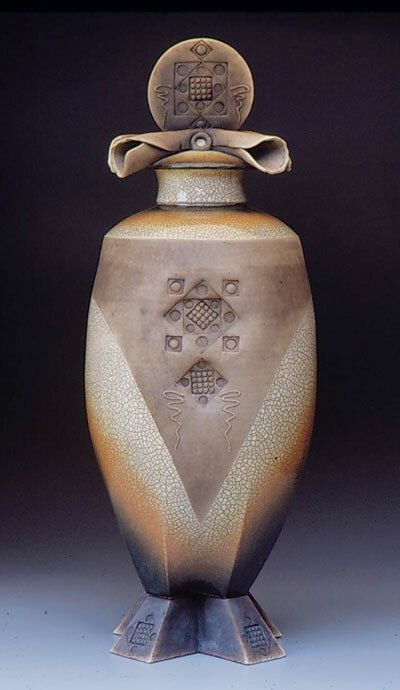 Son David, a professional potter since 1974, has been a member of Piedmont Craftsmen since 1998. Stop in the Gallery at 601 N. Trade St., Winston-Salem to see his beautiful hand painted ceramics. Todd Smith spent time this winter at Cambridge University attending the International Conference on Technology, Knowledge and Society. Rob Levin was one of 25 artists to participate in Make It New, a show demonstrating the vitality and diversity of contemporary art at the Asheville Art Museum in March.